Brisbane has suffered terribly hot weather these past couple of days so I spent most of the time in my sewing room, under the fan! Our neighbours had a new baby boy October 1st so I'm making a little quilt for him. I made his big brother the Farm Quilt (click to link) last year. 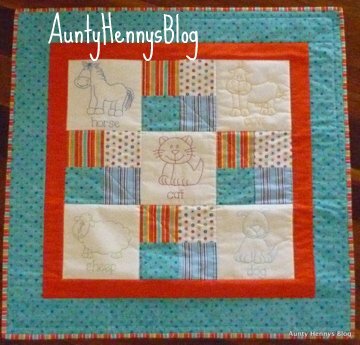 If you click on the Label below this post ..Mini Farm Quilt, you will see that quilt and other Farm quilts I have made. Click on Farm Quilt and you will see the full size quilt. I purchased some lovely fabrics when I was away on my 60th Birthday girls weekend. 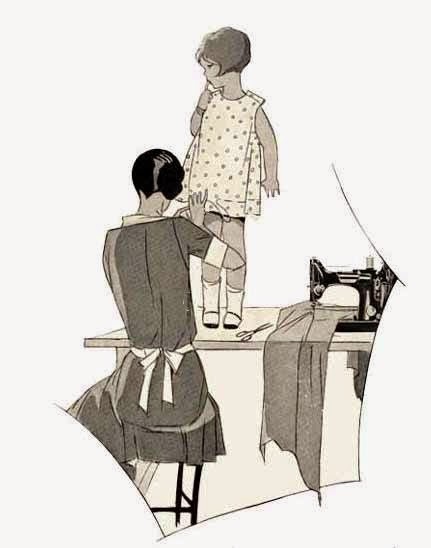 The fabrics are by Vita Mechachonis called Nursery Rhymes. My new Horn cutting/pinning table. This is it folded up. centre points with kitchen skewers and blue painters tape. other half. Perfectly centred quilt backing! a longer quilt, I would be using bulldog clips top and bottom. with anything. I use 100% cotton and it lays down quite nicely. The Storybook Quilt! I used the same layout as my Mini Farm Quilt. and I used coordinating fabrics for the four patch blocks. A new toy I purchased at the recent Craft Show. I made the binding using a new gadget I purchased at the Craft Show. 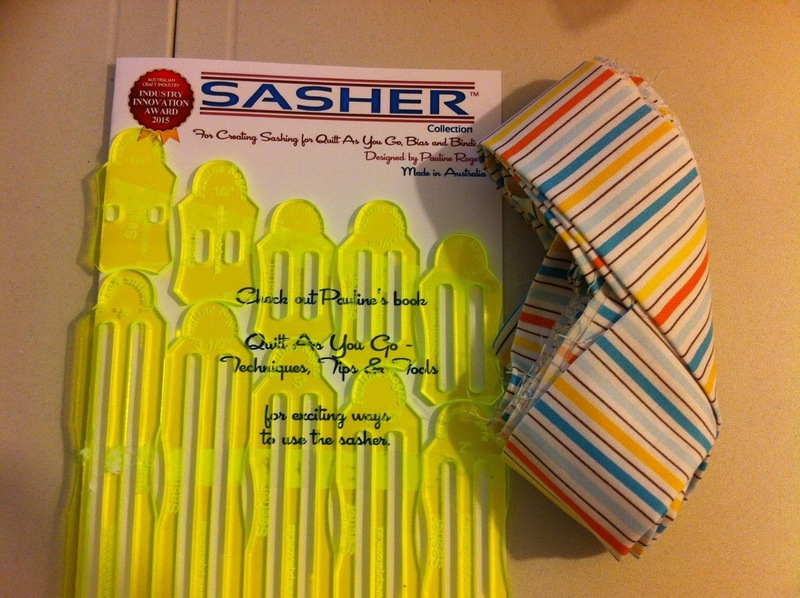 It is called The Sasher and can be used to make the folded sashing that you use for Quilt As You Go (QAYG) or binding. It makes multiple sizes too. I cut my binding at 4" (or wider) for children's quilts as I use a completely machine sewn binding technique, click here to read more about that method. 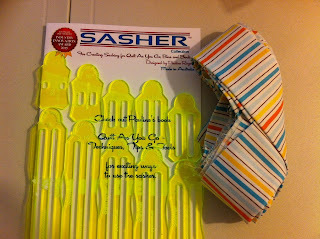 So this binding ends up at 2" folded so I used the 2" sasher for make my binding. It's very easy and you can read more about it here. Today is much cooler so I am getting ready to pin the quilt. I will machine quilt this one on my Brother PQ1500.... I love quilting on this machine.